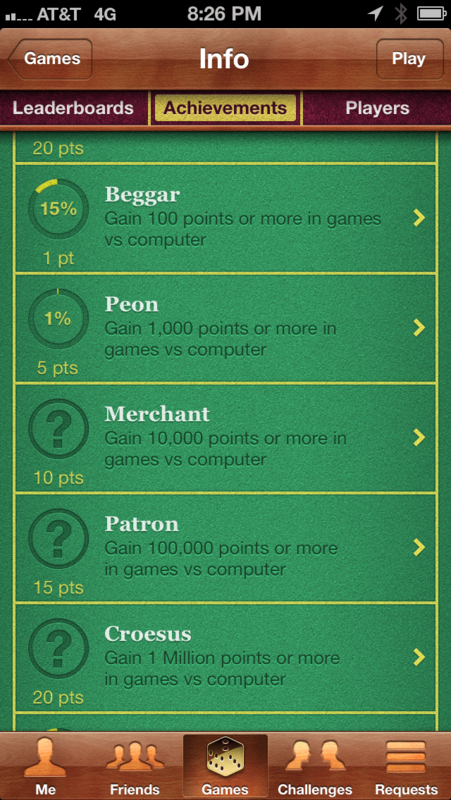 So a little context here – every round in the game, each player chooses one of the roles listed above. Then to get all five of these achievements, that means you’d need at least 2,500 rounds of the game. At about 15 rounds per game, that works out to about 166 games. 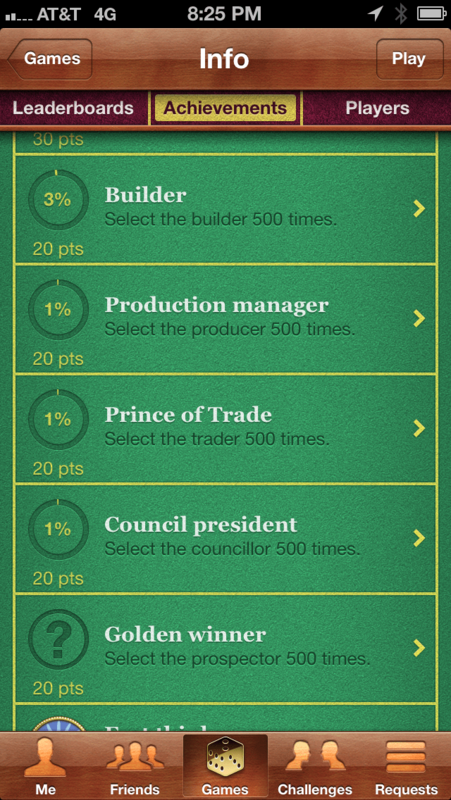 Of course, all roles are not chosen equally, so it will definitely be more than that (unless you’re just farming for iOS achievements I suppose). 200 or so games is a lot, but all things considered it’s not ridiculous. 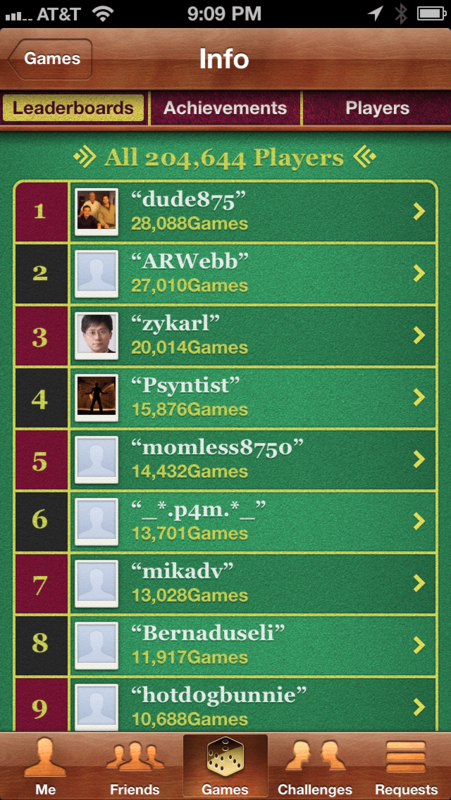 GameCenter has a leaderboard for number of games played, and the person in the #100 slot has played 510 games. A lazy achievement, yes, but jumping the shark, probably not. I picked up Ticket to Ride (iTunes link) for the iPad recently (I previously talked about the questionable-but-still-a-good-time iPhone port), and it’s a lot of fun. Some people though must really like placing trains though, as referenced by this achievement. Okay, but that’s a browser-based version. Is anybody playing 20,000 games on their iPad? That’s about 138 days non-stop of Ticket to Ride (and I’m guessing some seriously calloused fingers). 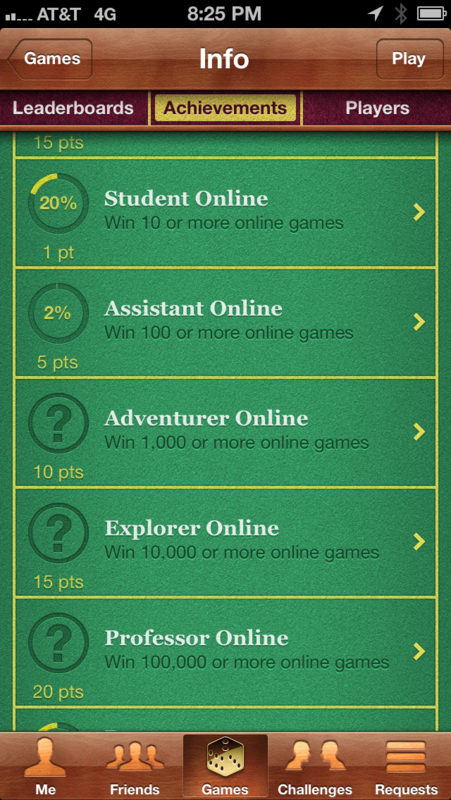 As of July 30th 2013, GameCenter reports three users have hit the mark, topping 20,000 games played. Goodness, that’s a lot of games. Considering this game has been out for two years, is one of top-selling board games on the Apple Store, and only three people have this achievement? Perhaps they shot a little high here. Okay, “Gain 1 million points” might not have a lot of context if you aren’t familiar with this game. A BoardGameGeek post lists the average points per game as about 37, which seems at least fairly accurate from my experience. Doing the math there, it would take about 27,000 games to make that happen. And at 10 minutes a game, that’s about 187 days straight. You’d think, after 27,000 games, you would be pretty well on your way to acing all the achievements that this game has to offer. But you’d be wrong. Yeah, win 100,000 more online games – and there’s another one, 100,000 or more games vs the computer. Well worth the 40 GameCenter points, for sure, right? Let’s work the math on that. 100,000 games x 10 minutes a game gets you to a required time of just under two years straight. Of course, since Lost Cities has only been out since August 2012, as of this writing, it’s impossible to have played that many games. Of course, that’s assuming you won 100% of them. If you were a mere human that played 8 hours a day and won, say 80% of the time, that means you’d be playing for over 7 years! 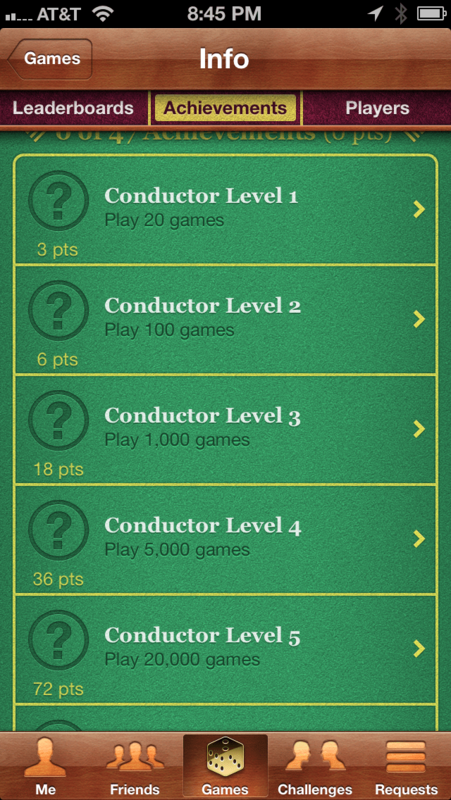 And again, that’s just for one of the achievements – presumably the one where you can play solo! And for the record, nobody on GameCenter appears to be encroaching on either of these marks. At the moment the top player has about 3,400 wins online, and racked up an impressive (but still not nearly good enough) 240,000 points online. The “vs computer” charts have some higher numbers, but with the top point getter currently sitting over 4 billion, I have a feeling these numbers can’t be trusted. Or this guy is amazing at Lost Cities. So this, I would count as ridiculous. Achievements can be either motivating or demotivating depending on the player, the game, and of course, the level of ridiculousness involved (see another great Steve Bromley article on the topic). Obviously there’s a fine line to walk – you want to give players a challenge that’s something meaningful to strive for, but not so hard that a US president will be elected and leave office before they have a shot at completing it. What other games out there have insane achievements? Let’s discuss in the comments! This entry was posted in Card & Board, Casual, Mobile and tagged achievements, board game, card games, gamesux, mobile gaming, user experience by mark d. Bookmark the permalink.